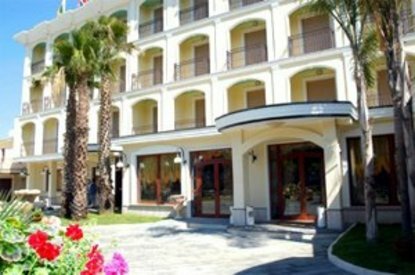 Completely restructured the Best Western Hotel La Perla is situated in a good position near main streets to Napoli and Caserta and just 500 meters to the beach. We offer 49 guest rooms, two suites and all are equipped with modern comforts and WIFI connection. Our restaurant offers a non-smoking area, bar, and we have a meeting room for up to 100 people. Private parking also available for buses. Here the classic style meets the modern technology in a warm atmosphere, the accuracy is synonymous of cure of service and details, in order to satisfy the more demanding customers, either tourist or business. An adequate and characterized staff will take care to offer to our guests professionalism in attendance and courtesy. Moreover we are 500 meters from the sea and not far from the archaeological area of Pozzuoli and the outskirts, where it is possible to supply to the boarding for Ischia, Capri or Procida.